Besides the cover story on the destination published in July, the magazine published additional articles in the last three issues; the publication has a domestic distribution of 30,000 books. El Gourmet magazine put the Riviera Nayarit on the cover of its July issue after a FAM trip offered by the destination’s CVB, but it didn't stop there: the editors made the decision to publish even more articles in the last three issues. The July cover story was titled “Aquí, el mar, Riviera Nayarit y sus sabores,” (The Sea, the Riviera Nayarit and its Many Flavors). In that same issue they published a three-page article on Marco Valdivia, a local chef from Nayarit, highlighting his top dishes from Restaurante Emiliano. The piece was titled, “Emiliano, comida y vinos; lujo nayarita” (Emiliano, Food and Wine, A Luxury of Nayarit). 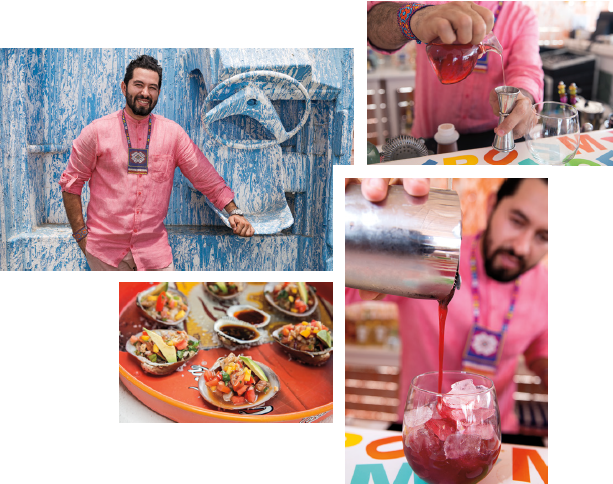 In August, El Gourmet focused on the Riviera Nayarit’s mixology ambassador, Israel Díaz, in its El Personaje (Celebrity) segment. There they wrote about the drinks currently en vogue in the area and the traditional influences of spices and the Huichol culture in his products. In September they focused on the Salsa Huichol, one of the icons of Nayarit’s cuisine. More than a brand, it’s a traditional staple at the dinner table in thousands of Mexican homes. These additional articles multiplied the 30,000 impressions represented by the distribution of this domestic monthly publication. Their more than 120,000 followers on Facebook and an additional 20,000 on Twitter must also be taken into account. Their farthest reach, however, stems from its website, www.elgourmetmexico.com.mx; they also have subscribers via smartphones and digital tablets. The important takeaway is the promotion and wide dissemination of Nayarit’s gastronomy, which is one of the main reasons why tourists visit the region; the main target market for El Gourmet is extremely specialized and specific to this segment.